The Galetti Articulator is solidly constructed of metal alloy casting. The high quality articular provides easy, speedy and firm grasps of models of any size. This item has perfect occlusal-articulator balance to prevent cuspidal interferences and maintains a balanced prosthetic appliance. 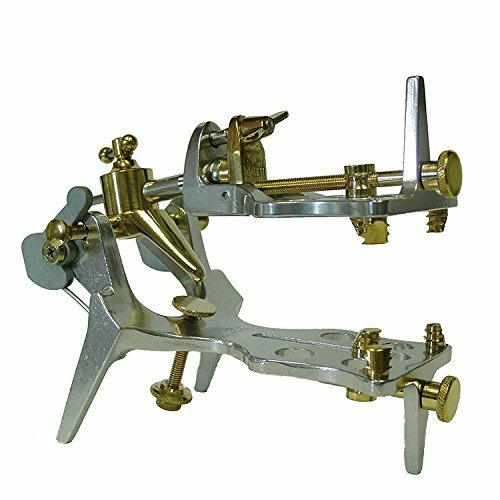 The Galetti Articulator allows for easy separation of upper and lower components to form two different stable working bases. The ball bearing joint allows for free motion of the upper appliance to check the occlusal-articulator balance. The hinge axis with bilateral motion gives the capability for anterior, posterior and lateral movements to show working and balancing movements. No plaster work or accessories are required with Galetti Articulators and they are easy to clean. If you have any questions about this product by Galetti, contact us by completing and submitting the form below. If you are looking for a specif part number, please include it with your message.